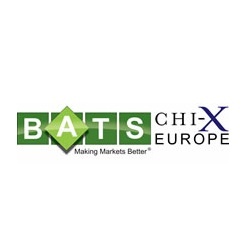 Europe’s largest stock exchange, BATS Chi-X Europe (BATS) is launching a new offering that grants exposure to Turkey’s most liquid stocks in the form of the BIST30 index, which is slated to begin in early November. BATS has witnessed strong growth in its volumes, as highlighted by September’s robust performance that saw healthy gains across average daily volumes (ADV). Amidst a rising demand for exposure to Turkey’s marquee stocks, BATS will now look to expand it’s offering with the BIST30. The demand for Turkish securities has been mounting in recent months, as indicated by the rampant growth of the country’s market that is responsibly for $406.8 billion (€319 billion) in 2013 alone. Furthermore, new capital markets legislation in Turkey has helped instigate competition in trading venues, which no doubt will add to demand in coming quarters.